Are you looking for Full Body Checkup? Well, you are at right place. Now book FULL BODY CHECKUP FROM KAYAWELL at lowest price. We are offering 50% OFF on our full body checkup packages. You can visit our official website for more detail. 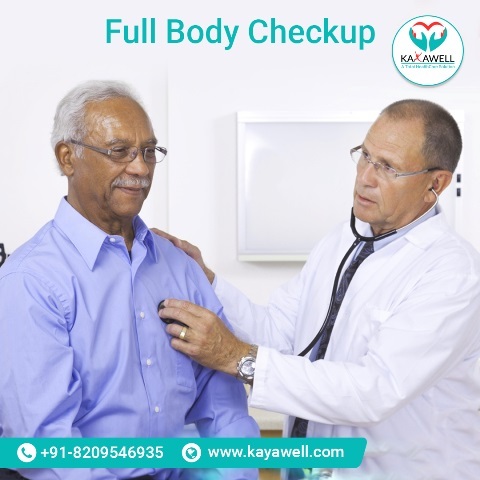 "Contact us: Official Website: https://www.kayawell.com Mail: info@kayawell.com Call us: (+91)7073628886 Address: KayaWell Apartment 8-A Shri Gopal Nagar, Gopalpura Bypass Jaipur, Rajasthan – 302019"